The 175th anniversary of the work of the Society of St Vincent de Paul in Ireland was celebrated with a Mass of thanksgiving. Founded in Paris by Frederic Ozanam in 1833, the Society held its first meeting in Ireland in a room on Halston Street, near the Four Courts in Dublin, in December 1844. Nineteen people attended that meeting. Since then, tens of thousands of SVP members have provided help to countless numbers of Irish people in need. In 2017 alone, the society received nearly 140,000 calls for help and spent more than half a million euro every week helping individuals and families meet the cost of food, fuel, housing and education. A large contingent of the society’s 11,000 current members were present at the Convention Centre Dublin to join in the liturgy of thanksgiving with Archbishop Diarmuid Martin and to hear inspiring speeches from Uachtarán na hÉireann Michael D Higgins, Minister for Employment Affairs and Social Protection Regina Doherty and Kilkenny hurling manager Brian Cody. In his homily, Archbishop Martin said it was a credit to the society’s members that St Vincent de Paul was a saint who was regularly named in day-to-day conversation, despite very few people knowing much about him. Describing the inspiration for the Society of St Vincent de Paul (SVP) as being fundamentally about God, Archbishop Martin acknowledged that the society is much less denominational or evangelical than it used to be in the past. “Its activities are motivated by a different and more inclusive spirit of humanitarian concern and attempts to make our society a better and more caring one,” he said. “It is a philosophy that is open to the participation of people of different convictions rather than any individual religious confession. Additionally, the Archbishop pointed out that the theme of the reading from Matthew’s Gospel was about reaching out to the hungry, the stranger, the sick and those in prison – all activities engaged in by SVP members. “In my own lifetime, especially as a young boy, I witnessed a poor Dublin. But never would I have imagined that in the 21st century we would be facing new expressions of poverty such as the current crisis of housing and the fact that thousands of children live the indignity of homelessness in our country. “Homelessness and poverty are truly an indignity and affront to the dignity of men, women and children who live in poverty. They are also an affront to the dignity of the society in which we live. “Today we give thanks to those men and women who, over a period of 175 years, have been sensitive to the marginalised and who – hail, rain or snow – called to homes marked by poverty and who brought support and affection. 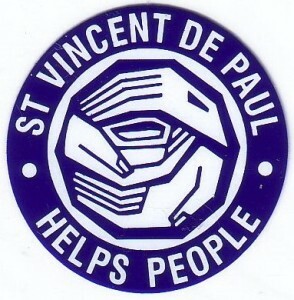 The greatness of the story of the Society of Saint Vincent de Paul is the witness of those men and women who, never showing any trace of condescension, became real friends with the poor and were recognised as such by the poor. “The Society of Saint Vincent de Paul over these years has witnessed to and continues to witness every day to the God of love revealed in Jesus Christ,” Archbishop Martin said.